Infinite Waste are a Doom/Grind band from Oakland. Instead of adding a grindcore sneer to doom or playing Sludge, they effortlessly switch between frantic Dillinger Escape Plan grind and ultra-heavy, crushing doom in an oil and water approach to the two genres. There are absolutely massive doom passages right next to lighting strike chromatic grind riffs, and it works really really well. The approach is pulled off partly through excellent composition and playing and partly through great production, showcasing the doom and the grind sounds equally well. The dynamic range is pretty compressed, unfortunately, but everything comes through in the mix. 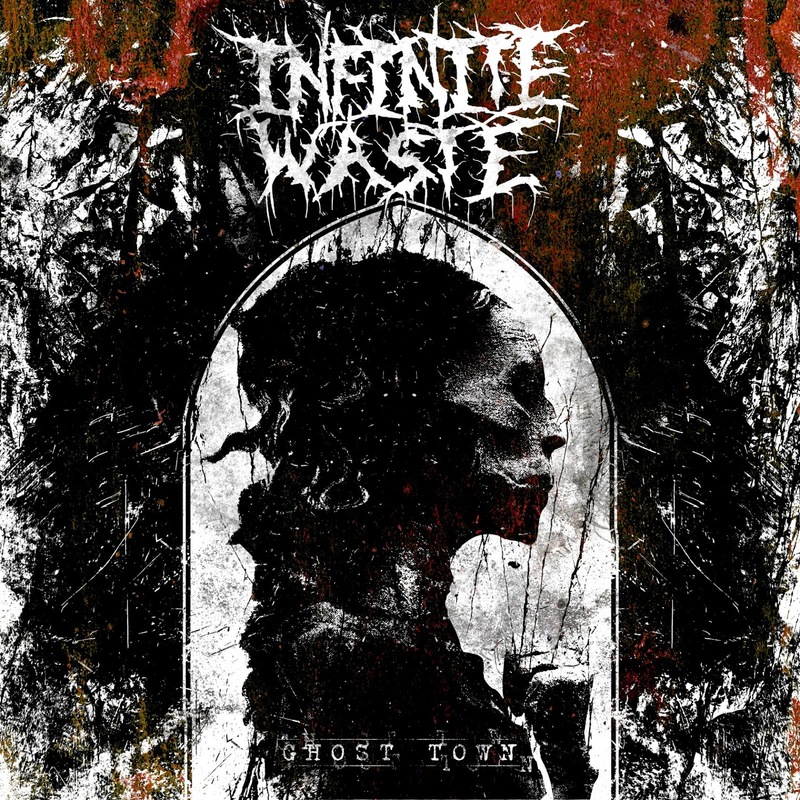 I probably wouldn’t have heard of Infinite Waste, let alone listened to them were it not for Kevin, the drummer (who also plays drums in Forgotten Gods) emailing me about the EP. Ghost Town is a very abrasive record, leaning heavily on the more dissonant side of Doom. Being more into doom like Pallbearer and Argus and less into grindcore than I used to be, I wasn’t initially sure I’d like the EP, but I’m glad he told me about it. The Ghost Town EP rips and I totally dig it.